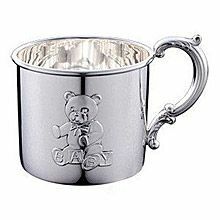 An adorable teddy bears adorns the front of this baby cup with the feet and blocks spelling out the word baby. 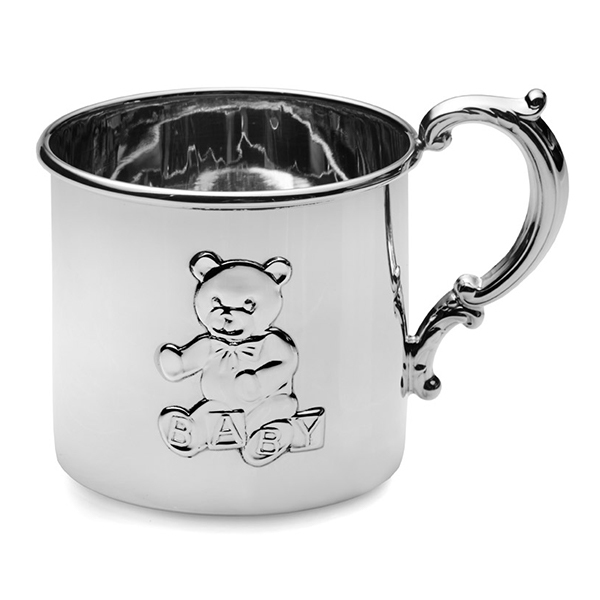 The Empire Teddy Bear Sterling Baby Cup is made entirely of sterling silver, and presented in an elegant gift box. 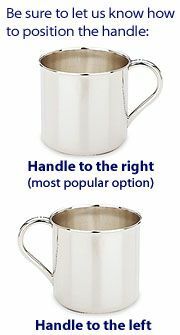 Measures 2 1/4" tall and 2 9/16" diameter with a six ounce capacity. Highly polished exterior and interior. Please note that we can only engrave on the back (or handle left) side of this cup. There is not enough room to engrave on the front side where the teddy bear is. You may also like the Teddy Bear sterling silver baby rattle by Zaramella Argenti.